This is a variant on the usual romance scam where a man or woman uses dating sites to find romantic partners and builds an online relationship with them before asking for money for problems such as needing a visa to visit the person or treatment for a sick relative in hospital or a hundred other reasons. This variant is based on the scammer pretending to be in the Military and needing to pay to get leave. This scam seems to be predominantly carried out by Nigerians. Here’s an excerpt of a typical email interaction between a scammer and a woman (complete with spelling mistakes). The scammer has a set of excuses ready for why you can’t talk to him or visit him. You can not see me on Cam while i’m on deployment…because the kind of pc we use is called TOUGH BOOK, its extra strong but uses no cam.You can only see my pics. I can’t send money out and no one can send me money while am on deployment here..hope u understand that..
You can’t call me while am on deploy but if u want to hear my voice that means u will get ur cell phone connected with my Radio phone here cus that’s what we the military personnel are using here.. He has excuses why you cannot phone him, skype, Face time or any other way of seeing him Live as that would show up that he’s not an American military man – just a scammer using someone else photos off the Internet. What happens next is that the scammer sends his victim a letter supposedly from the military authorities. It looks official and notes that the man is in line for a large sum of money which can be sent via the victim. Here’s some typical excerpts from such a letter. A returning officer on ‘special foreign mission’ applying for leave request will be liable to receive some amount of money as Leave Bonuses/Allowance and this should be claimed by His/Her beneficiary (Optional). The amount is (39,340.00 USD). Note : If you wish to be the beneficiary to the Leave Bonus, You will need to give us your account details to wire the bonuses/allowance there for your Fiance as soon all necessary things has been done by you. Beneficiary is liable to pay for the liberty pass card,processing fee and other expenses required, it wil be approximately (1,551.00 USD) you can read more about this in the policy and instruction for leave request form which your Fiance will send to you. You can see what’s going on and the scammer draws in the victim to get them to pay the up front costs of $1,551 but then there is no visit as it’s all just a sad scam. 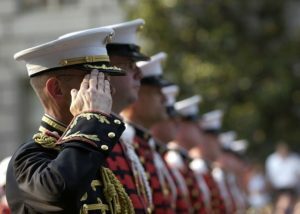 The website www.scamwarners.com has a lot of information on the scammers who impersonate military personnel. I have been scammed for over $200,000.00. I went on face book and reported the scammer on a Facebook military site. I was layer contacted by the man and told to go back and remove what I posted. His name he gave me was Medina Metcalf. I wish there was some day o could help others.. if there is a place I can post his pictures. The game ones he gave me and his name would like to do it.